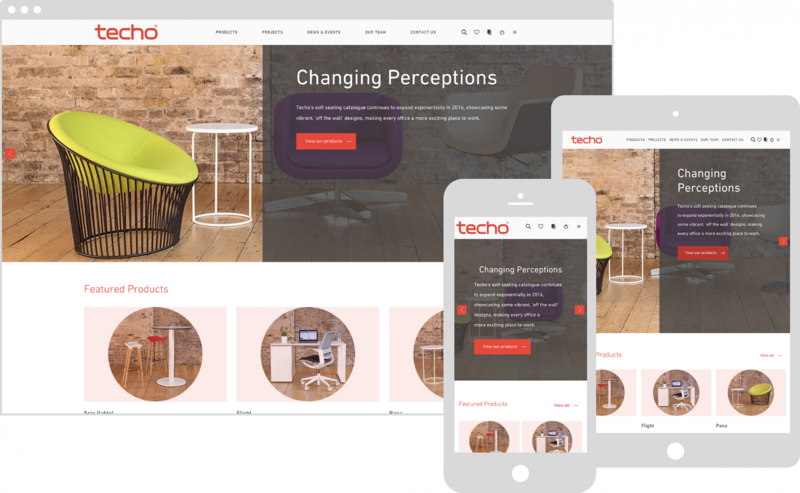 Environmentally friendly, London-based office furniture brand Techo wanted a sophisticated and sleek site to mirror their modern collections. 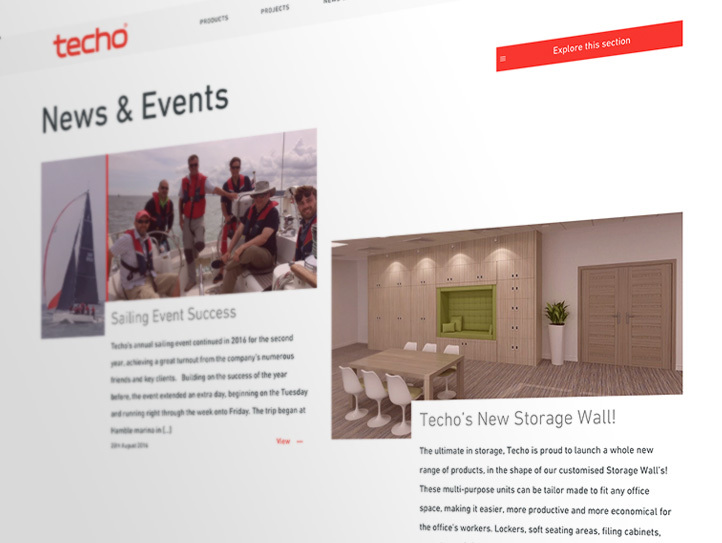 Alongside showcasing products with high-res, 360 images, Techo wanted us to make clear the value of the customer-centric service they provide, as well as constructing a hub of industry-focussed news and activity. 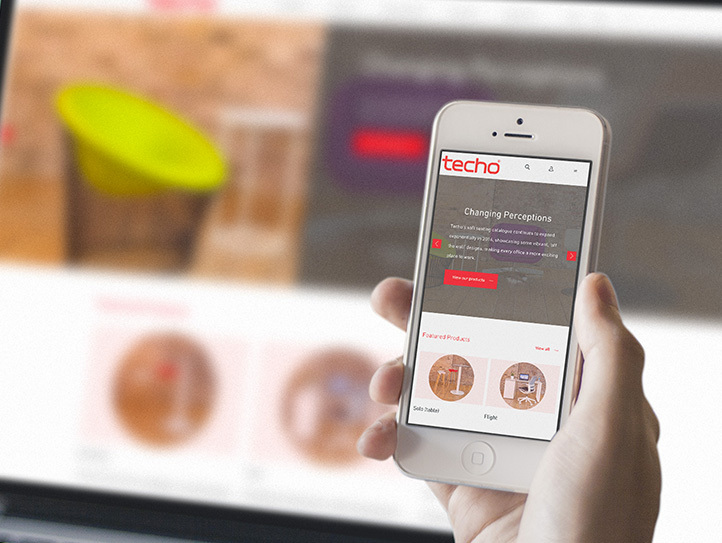 We wanted to reflect the stylish and minimalistic brand identity in the design of Techo’s site. To do this, we used a clean colour palette, and implemented a typographic scale to create a consistent look and feel on each page. 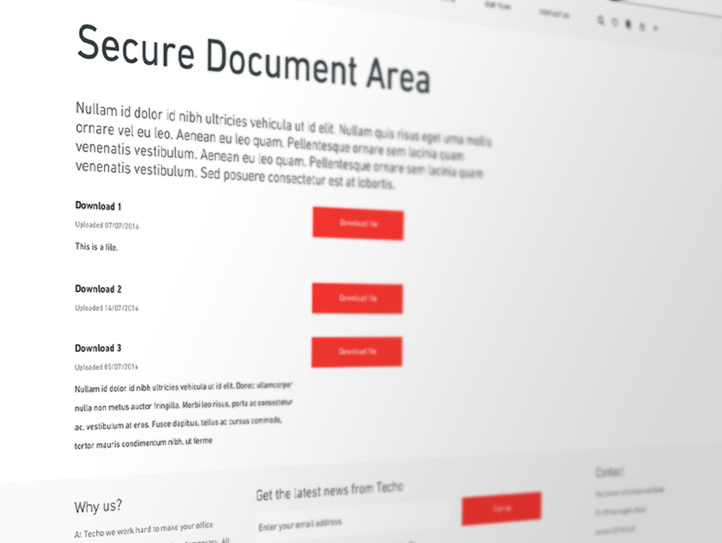 Our developers created an secure document area to allow registered users to download specific files. This ensured a simple and speedy way of communication, created with the user in mind. These files are uploaded and managed by Techo staff. 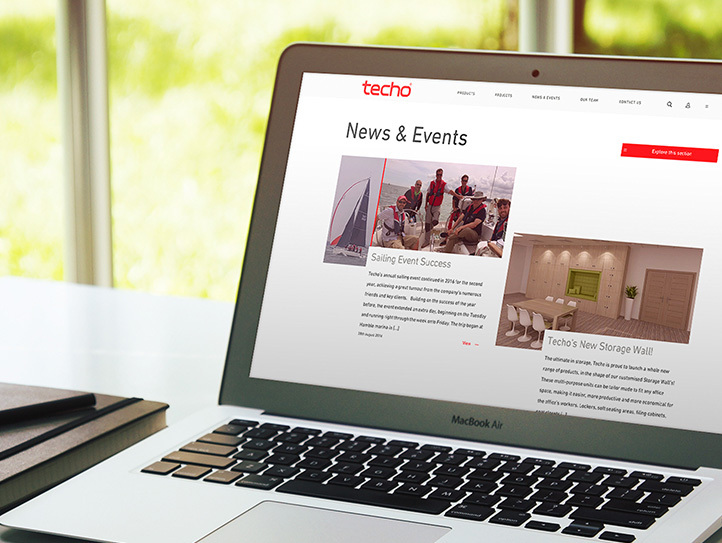 Techo wanted blog posts and social media to be a big part of the site. Their News & Events page displays posts separated into the categories ‘News’, ‘Events’ and ‘PR’, and we styled the social feeds to the homepage to be on brand. We created a wishlist, enabling registered customers to save their favourite products, and allowing them to save a specific sizes and shapes in each product range. When any product is saved to wishlist, the sales team get an immediate notification – handy!